Our Mission: The Department of Recreational Services aims to foster a lifelong commitment to health and wellness for the people we serve through exceptional programs, learning opportunities, services and facilities. Our staff includes programmers, administrators and more than 200 student employees all focused on creating an outstanding experience for the people we serve. Click the link to the right to browse and register for our Summer programs, youth camps, special events and more! What we do: The Department of Recreational Services serves the Kent State University community. That community includes but is not limited to students, faculty, staff and community members. We offer outdoor adventure programming, swim lessons, fitness classes, personal training, ice skating and hockey lessons, community sport leagues, paddling trips and so much more! The Department of Recreational Services operates a number of facilities across the Kent State campus. Our most recent addition, Tri-Rec, is the seventh location part of the Recreation Corridor at Kent State University. The Student Recreation and Wellness Center features 153,000 square feet of state-of-the-art fitness amenities. Opened in 1999, the facility has won numerous architectural design awards and has been featured in magazines as one of the top fitness facilities in the nation. This new 7,000 square-foot fitness facility is exclusive to on-campus students only. Located above the Tri-Towers Rotunda, this convenient space includes over 70 exercise machines and free weights for an in-and-out workout. The Student Recreation Fields feature two lighted multipurpose fields, a picnic pavilion, restrooms and equipment storage. The fields are utilized by intramural and club sports on a regular basis. They are also available for general use and rentals. The Kent State Ice Arena boasts two rinks, a party room and a snack bar. Offering Learn to Skate and Learn to Play Hockey lessons, the Ice Arena also rents ice time to local organizations and is the home rink for the Kent State Club Hockey Team and the Kent Figure Skating Club. Crooked River Adventures is a canoe and kayak livery based at Tannery Park in downtown Kent that offers canoeing, kayaking and tubing down the Cuyahoga River. The livery is open seasonally from April to October and sees an average of 2,500 participants each year. The Allerton Sports Complex includes four softball fields and a concession stand. The complex serves more than 32,000 players each year. The facility is used by intramural and community leagues in the addition to private rentals. 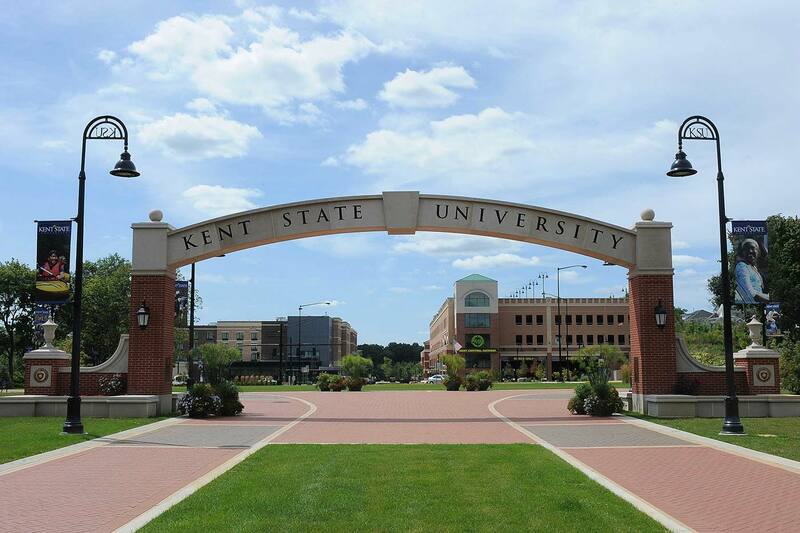 Developed in Fall 2014, the Kent State University Disc Golf Course offers 18 holes over a two-mile course and connects our existing facilities to establish an official Recreation Corridor at Kent State University.